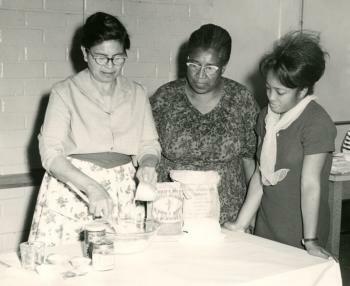 EFNEP was established by the USDA in 1968 as a pilot project in response to the increasing recognition of poverty in America and the link between poverty and malnutrition. Pilot studies in several states, including California, helped identify effective approaches for contacting at-risk families and teaching and maintaining education programs for people living in poverty. 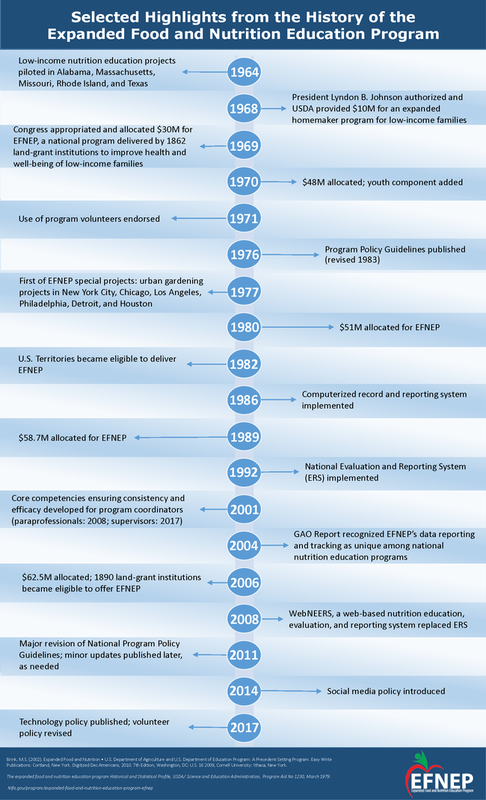 In 1969, EFNEP was funded as a permanent program with Smith-Lever 3(d) funds, a line item in the United States Farm Bill. 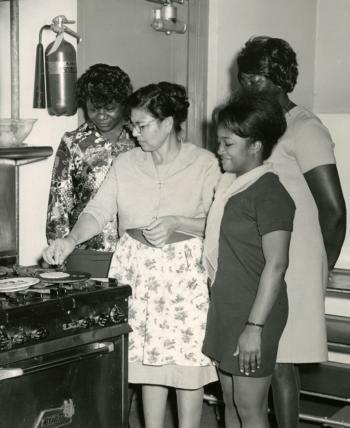 From its inception, the intent of EFNEP was to train “paraprofessional aides” to reach the nation’s poorest families living in rural areas and city ghettos and teach them the knowledge, skills, attitudes, and behaviors necessary to have nutritionally sound diets, contribute to their personal development, and improve the total family diet and nutritional well-being. EFNEP has evolved over time to remain current and relevant for the audience that it serves. It has also stayed true to the legislative requirement of using a peer educator model to teach low-income families. Program participants gain knowledge, skills, and confidence to make informed choices about low-cost, nutritious foods, and to better manage their family food budgets and become more self-sufficient. 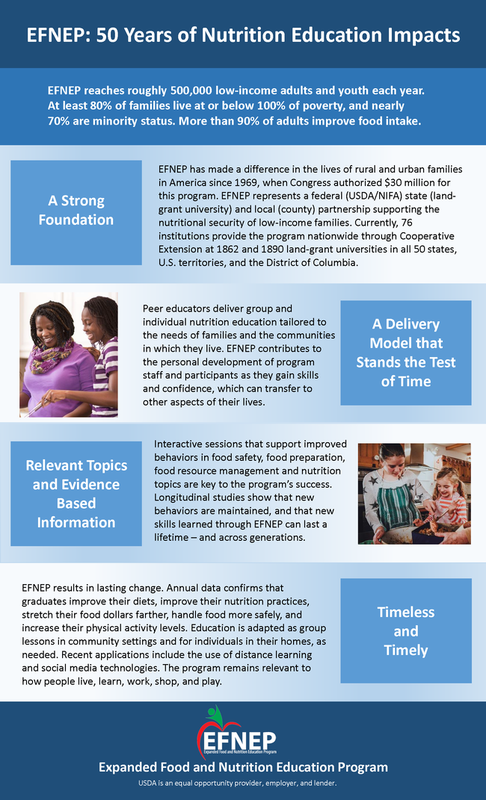 Communities with EFNEP draw upon professional and organizational relationships to tackle social and health disparities associated with hunger, malnutrition, poverty, and obesity.